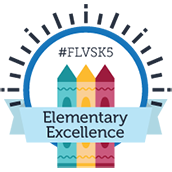 At FLVS Flex students have the opportunity to enroll in courses all year long. This means we have a meet-the-teacher system down to a science. Our meet-the-teacher process is a welcome call! Our teachers reach out to their students and welcome them to their course. In this first interaction teachers establish a strong foundation for the course, they focus on getting to know their students and their families. The welcome call is such an important piece to success in our virtual classrooms! One amazing aspect of attending school online is the ability to tour your classroom right from your very own home! Our courses are designed specifically with students in mind and we use highly innovative strategies to engage students in learning. 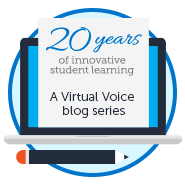 This all starts in your virtual classroom! You will have access to your course, curriculum, and all the support you need to be successful in the course. There is a huge misconception about virtual school. That somehow, having the flexibility to complete your course work at any time, any path, any place disconnects students from interactions with their peers. This couldn’t be farther from the truth. Our students regularly interact in their courses via collaboration assignments. They also have access to more than 25 clubs! Check out this list of all the amazing clubs offered for students. 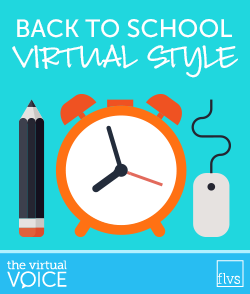 Whether you are taking just virtual classes or a combination of brick-and-mortar and virtual, the start of the school year is truly an exciting time. We hope you have a wonderful school year and that you get the most out of your experience. We will be here every step of the way to make sure you accomplish everything you want! This entry was posted in Homeschool Edition, Parent Edition, Student Edition and tagged Back to School, Clubs, Communication, Curriculum, School Community, Student Activities, Student Communication, teacher interaction, Teaching Online, virtual classroom on August 15, 2016 by Guest Blogger. No one has connected to us for beginning school. We are new to this. When will we begin classes? We are new to the SCVS flex and half the time, it says can’t connect, or something with the server. Very frustrating when she is doing the work, and TRYING to stay on track. Sent the instructor an email, but have yet to get a response. Hi Erin. FLVS did have a few hiccups with our applications on Wednesday and Thursday last week, but everything should be up and running now. Thanks for your patience! We hope your daughter has a great year with Seminole Virtual.